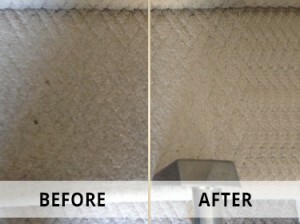 Fine carpet cleaning is a professional carpet, rug, upholstery and stain removal company. We have years of experience dealing with residential and commercial customers and various types of carpets, rugs, upholstery and stains. We are specialists in the carpet and rug cleaning industry and as such, we have mastered the art of cleaning. Our carpet and rug cleaning specialists are regularly trained on various new products and techniques for cleaning, so that they can make sure that they can always exceed your expectations when it comes to results. Whether it is a tough food spot on the carpet, a regular rug cleaning or an old stubborn stain on the sofa, we have you covered and we can make sure that they are left protected from future staining too! Our team of dedicated and experienced professional carpet, rug and upholstery cleaning specialists has been dealing with various stains, spots and shading on natural and synthetic carpets and rugs and leather and fabric upholstery. Whether it is a regular clean or a tough stain or spot removal, the Fine carpet cleaning team has a solution for it. We constantly train our carpet, rug and upholstery team on the latest products and techniques for cleaning, so that they are always ready to choose the best approach when cleaning your carpets, rugs or upholstery. In addition, the team has a significant portfolio of non-toxic and eco-friendly products, which help them choose the best one and tailor the service specifically to your personal needs and requirements. In Fine carpet cleaning we have one of the most powerful carpet, rug and upholstery cleaning equipment in the industry. This allows us to work in a fraction of the time that it usually takes for cleaning, clean much more in-depth than what most of our competitors and deliver the results with minimum to no drying time required. We pride in our state-of-the art equipment, which has been specifically set for us to be able to achieve the results that our customers love and always come back for!